For over 40 years, mammography screening (which is essentially an X-ray of the breasts) has been used almost exclusively as the primary form of breast cancer detection in women. In recent years, however, numerous studies have brought this practice into question and mammography has become a hotly debated topic. 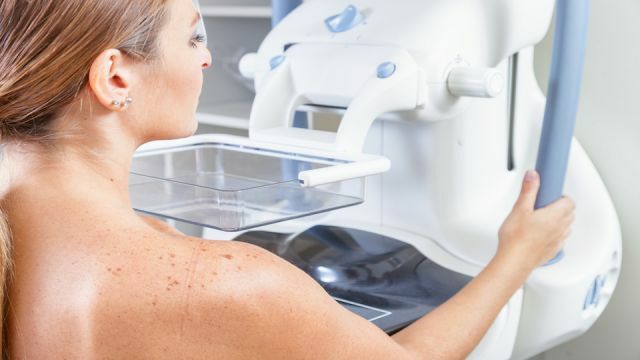 While there has been a steady decrease in the number of breast cancer-related deaths since the implementation of mammography in the late 1970s, researchers believe this is due to advanced treatment procedures, not prediagnosis screening. This overdiagnosis is a huge concern when it comes to mammography and is one of the primary reasons that researchers are questioning the validity of the test. Women diagnosed with an otherwise harmless form of cancer are subjected to chemotherapy, invasive treatments, surgery, and hormonal therapy when in reality, any treatment is entirely unnecessary. The same study revealed that in the years since mammography screening became the primary tool for detecting cancer, there has been no increase in early detection of large, aggressive tumors. This evidence is particularly concerning, as dectecting this type of cancer is the primary need for early diagnosis screening. Many doctors recommend yearly mammography screening after age 45, and recent experts are decreasing this number to include younger women and more frequent screenings. There is alarming evidence that these “life saving” screenings are actually increasing breast cancer risk due to higher levels of radiation exposure, especially in those who are more genetically susceptible to the disease. The science doesn’t lie, mammography may not be as beneficial as previously believed. However, research can be confusing and contradictory. And while it is important to make informed decisions about your health, mammography screening may not be the best tool. As researchers and scientists come to realize this, other methods are becoming available for early detection of breast cancer, and more doctors are beginning to recommend safer, more accurate alternatives. Keep in mind: There will never be a 100% foolproof screening method and some cancer will inevitably still be missed or overdiagnosed. Consult with your doctor about these findings and discuss your options for breast cancer prevention and early diagnosis. Thermography is one of the most popular alternatives to mammography and uses harmless infrared technology to reveal inflammatory patterns in breast tissue. It can detect possible malignancies years before mammography and is a non-invasive, sensitive screening method. Since it is still a relatively new tool, more research is being conducted regarding its accuracy. In recent years, the ultrasound has been arising as a potential substitute for mammography. Contrary to mammography, it does not emit radiation and is safe to use during pregnancy. Potential drawbacks of ultrasound may include its inability to detect tumors smaller than 1 cm and the necessity for a skilled sinologist who can accurately interpret the results of the test. Before the advent of mammography, clinical breast exam (CBE) was the only form of breast cancer detection. It is a physical examination of the breasts conducted by a highly trained healthcare provider and is best combined with another form of testing such as thermography or ultrasound. The bottom line is, just because something is the accepted practice, does not always mean it is the best. Take control of your own health and research what options may be most effective for you. Have you tried any mammography alternatives? Let us know in the comments below!